A contemporary denim look bean bag, sure to add a statement to any home! Please note the medium size fits a child or small adult comfortably. 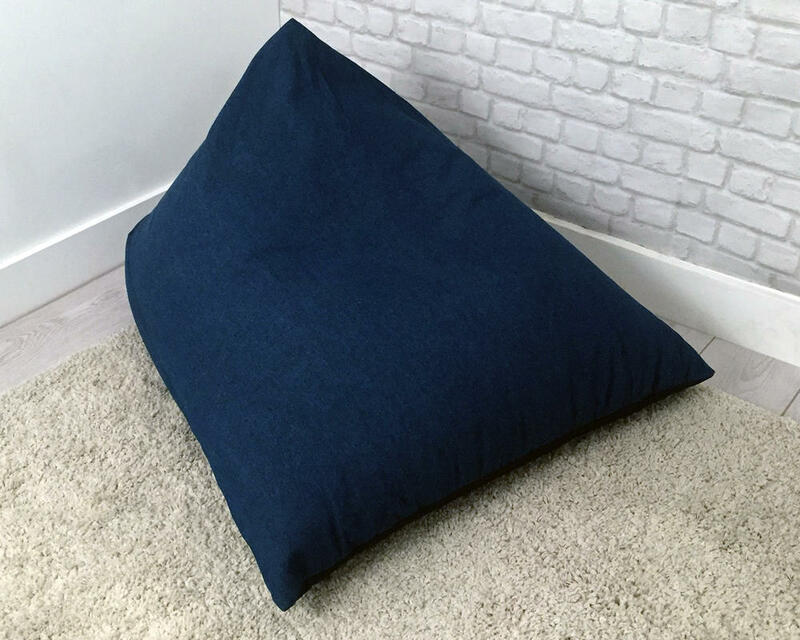 The wedge shape is the perfect shape for adults and children alike to settle down in infront of the TV or escape with a book in hand.